Suzanne Elledge Planning & Permitting Services, Inc.News - Suzanne Elledge Planning & Permitting Services, Inc. I have had the pleasure of serving on the Board of the Coastal Housing Coalition (CHC) since 2014. The CHC is a non-profit organization and the voice of local employers and employees in support of workforce housing. The Coalition’s founding mission is to educate the community about the critical need for middle-income housing and to advocate that community decision makers accommodate such housing in land use decisions. As my wife and I rent a home in Santa Barbara this is a topic that is important to me. 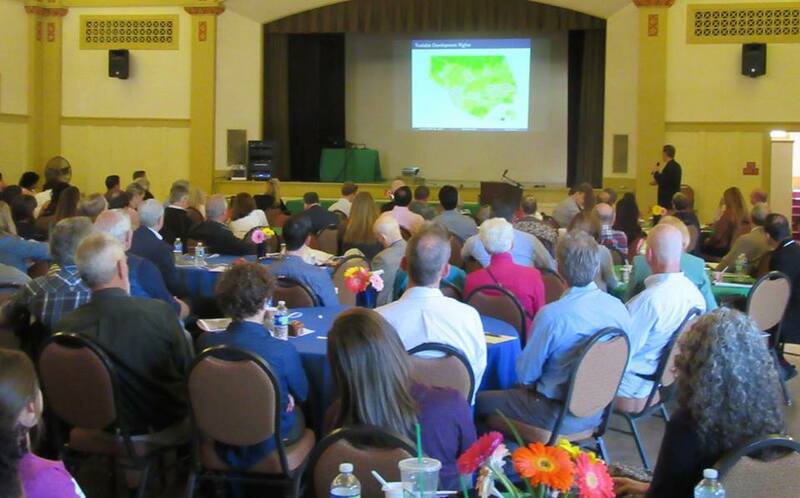 Recently the CHC hosted our 4th Annual Santa Barbara Housing Conference at the historic Carrillo Recreation Center. Attendance was outstanding, once again supporting the idea that workforce housing is of critical concern. Approximately 200 people attended the conference including elected officials, appointed government decision makers, government employees, a variety of consultants, housing advocates, and citizens concerned about the future of work force housing and how an inadequate supply impacts our quality of life and economy. Panelists and speakers consisted of local government experts, local planners and consultants, a legislative analyst from Sacramento, business stakeholders, and the Executive Director of the Center for Economic Research and Forecasting at Cal Lutheran University. This was the second time I moderated a breakout session at a CHC conference. This year I assisted with moderating a session titled Making Housing A Priority: Act or React. While the planning and coordination involved with the session and the conference as a whole can be a bit overwhelming for a group of volunteers (“wait, we are having an event for 200 people and we have to feed them and educate them! ?”), the payoff comes when invited panelists do a great job, the dialogue and interaction is flowing and insightful, the conference goes off without a hitch, and the community is engaged in a productive dialogue that potentially advances the discussion in a meaningful way. Housing is indeed a complicated issue in the very desirable and constrained South Coast of Santa Barbara County. Michael Towbes was famously quoted as saying “The two things people are against are density and sprawl.” My perspective is that there are a lot of opinions but the one thing we can agree on is it is very financially challenging for our local workforce to live locally and that results in significant impacts we can’t ignore. We are constantly reminded of our laundry list of “third rails” (we can’t build our way out of this problem, we can’t build near the freeway, we can’t build near the railroad, we can’t build near historic resources, we can’t create more density, we can’t build on the Gaviota Coast, we can’t impact views, we can’t build higher, etc.). Well… what can we do? That is why we hold our conferences. Change and progress are inevitable for a healthy community and the CHC aims to educate the community about the possibilities that arise from exploring change and seeking solutions. The City of Santa Barbara’s Average Unit Density program and the State mandated Accessory Dwelling Unit regulations are a start. There are other housing related innovations to explore: the future of automobile use and parking, the reimagining of State Street and other corridors, employer sponsored and limited equity cooperative opportunities, etc. At SEPPS we have a deep respect for local community planning principles. My service on the CHC Board is one of many ways SEPPS actively contributes to community planning and the development and refinement of land use policies. Let me know if you are interested in the Coastal Housing Coalition’s 2018 conference! 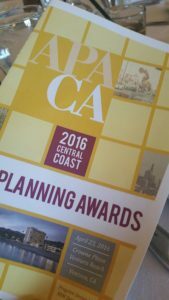 Central Coast APA Awards Night- celebrating Paul Wack! 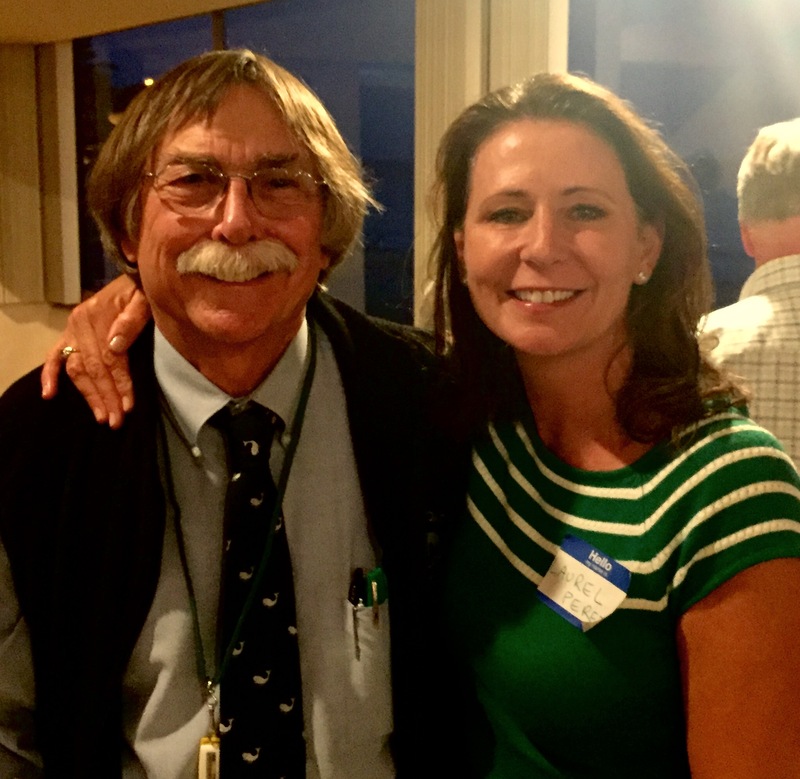 Laurel Perez, Principal Planner with SEPPS, joined fellow planners at the Central Coast APA Awards Night in celebrating Paul Wack! An inspirational professor in urban planning and a mentor and leader for many of us in the planning field! Cheers Paul and to all who received an Award! 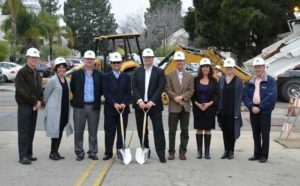 Santa Barbara’s Newest Automotive Dealership Breaks Ground! 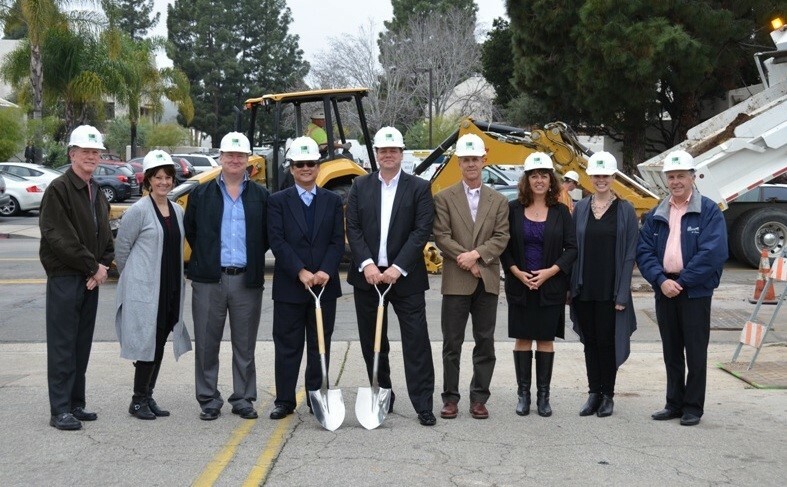 SEPPS Senior Planner Trish Allen, along with Assistant Planner Holly Garcin, attended a groundbreaking ceremony recently! Happy to be a part of a project that will bring economic revenue to our community. SEPPS wishes our clients and fellow colleagues a prosperous and successful 2017! A few weeks ago, I was given the opportunity to speak about land use planning with third graders at Julien Hathaway Elementary School in Oxnard, California. I have an uncanny talent of making my husband fall asleep as soon as I mention “entitlements”, “zoning clearances” or any acronym specific to the planning world (CUP, LUP, SCD, etc.). 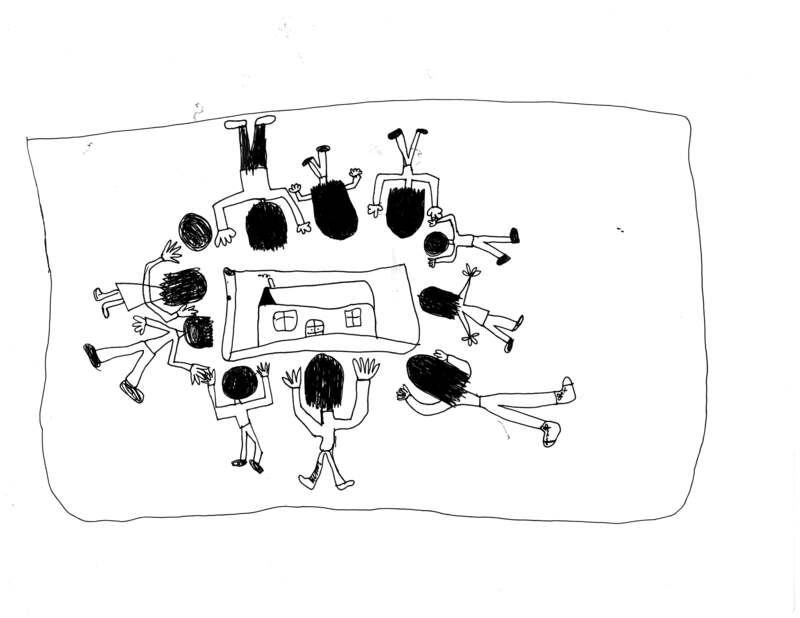 So, I was extremely nervous about how to make Urban Planning exciting and intriguing to eight-year-old children. I felt waves of nervousness and even a bit of anxiety as I was escorted by a small child to my new “Council Chambers” (aka Room 9). I was well equipped with plans, notes, and the like, ready to try and make an hour of time entertaining to all participants, and boy was it ever! I opened with the question – “What do you need in a City?” Hands rose up to the sky as I heard everything from “trees” to “restaurants for people to eat in”, to “water”, “grocery store”, “hospital”, and even “fields”. “Oh yes, fields to play in and Open Space?” – I said in response. “No – fields for the workers – so they can work on the food.” – his response. Never a day goes by that I don’t learn a lesson from someone smaller than me. Oxnard is a predominantly Hispanic city, with many field workers who spend their days in the agricultural fields that bound the City. Being born in Oxnard, I’ve always had an affinity for the youth and culture here. Hence, this child’s response resonated with me and has stayed with me since. Working in Santa Barbara County has its own challenges and unique features as it relates to Urban Planning. Dealing with historic resources, environmentally sensitive habitat, and cultural resources are all elements that we work with on a daily basis. The “City basics” (in some form) are covered – hospitals, law enforcement, roads, etc. are established and well-functioning. Jobs are here, grocery stores provide food, and we even have the luxury of having organic fruits and vegetables delivered to our doorstep if we so choose. Agricultural projects don’t come across our desks often, but it’s something we have to consider in urban planning when it comes to adequate buffers and the Right to Farm Ordinance. Yet it’s more than a siting issue when plotting a site plan on an adjacent property. These fields provide jobs, they provide food, and they provide a space for community. They are a primary feature of the community these children recognize and consider vital to their City. 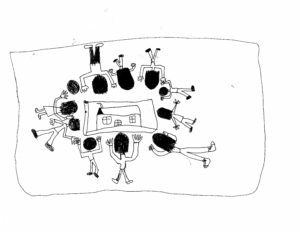 After we all spoke of all the elements our Cities should contain, each child (including myself) drew their own City – complete with “edges” (ocean, mountain ranges, agricultural fields), roads, houses, markets, and even public utilities. We described looking at our Cities like birds (also known as “plan view”) – to see things from a bigger perspective and look at all the elements our City needs to have. It was obvious that many of these children hadn’t thought of looking at the world in that manner – and it seemed to ignite their creativity with all the possibilities that one can imagine looking down at their City from the sky. They were so excited to share with me each of their City’s features – calling me over to their desks to look at how they were building their City. Pointing out their favorite features, naming their Cities, and being so proud of the world they created. And one thing is for sure – each child’s City had agricultural fields, and each City had a swimming pool. Because we always need to remember where we came from, and we need to make sure we have some fun too. 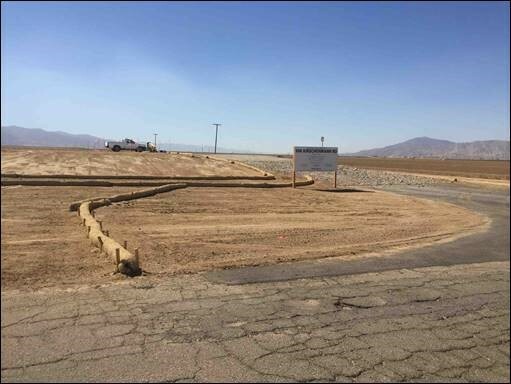 Starting this past August, First Solar, Inc. will commence construction of Santa Barbara County’s first utility-scale solar power facility in sunny Cuyama Valley. 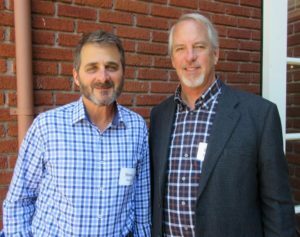 Facing the hottest years on record, and the deleterious effects of global warming looming locally and globally, Santa Barbara County can claim a role in helping California meet its long-standing renewable energy goals. When fully operational, the facility will generate 40 megawatts of renewable energy using sunlight; this is enough clean energy to serve the energy needs of approximately 16,000 average-size homes, displacing over 30,000 metric tons of carbon dioxide (CO2) – the equivalent of taking about 6,000 cars off the road annually! The major reason for this lengthy process originated from the absence of any provisions in the County’s Zoning Ordinance for solar permitting. It was hard to believe, but the Ordinance provided for oil and gas permitting, geothermal permitting, but nothing for solar permitting. Thus, the project needed a new Ordinance and an amendment to the County’s Comprehensive Plan to provide a permit pathway for utility-scale solar. Thanks to the support from Cuyama Valley locals, and from leaders in the community including the Community Environmental Council and the Environmental Defense Center, the project was approved with its host of legislative amendments and costly Environmental Impact Report, and will be providing renewable energy to Santa Barbara County within the next year or two. Santa Barbara is known for rigorous environmental standards, which apply to all projects, including “green” development. While solar plants, wind farms, and wave energy may help achieve a more sustainable energy portfolio, they each present different environmental challenges. We have to work with our local permit agencies and the community to find a way to analyze these technologies and their potential impacts, and mitigate those impacts without killing opportunities and feasibility for sustainable energy development. 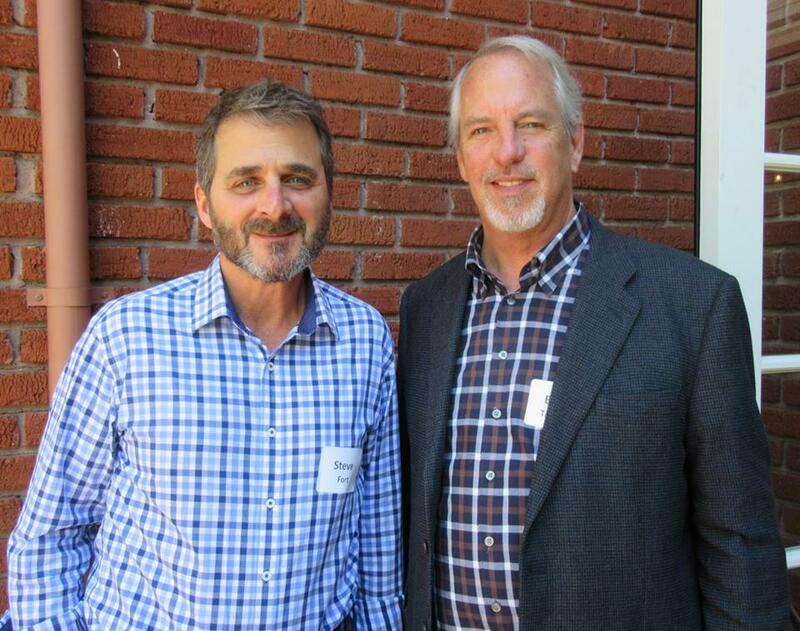 The Cuyama Solar project paved the way for the future of solar permitting in Santa Barbara County and we are hopeful that we will see more projects of this type. SEPPS urges our community to work together, back-up our prestigious reputation as the birthplace of the environmental movement, and facilitate permitting for renewable energy and other sustainable development projects! 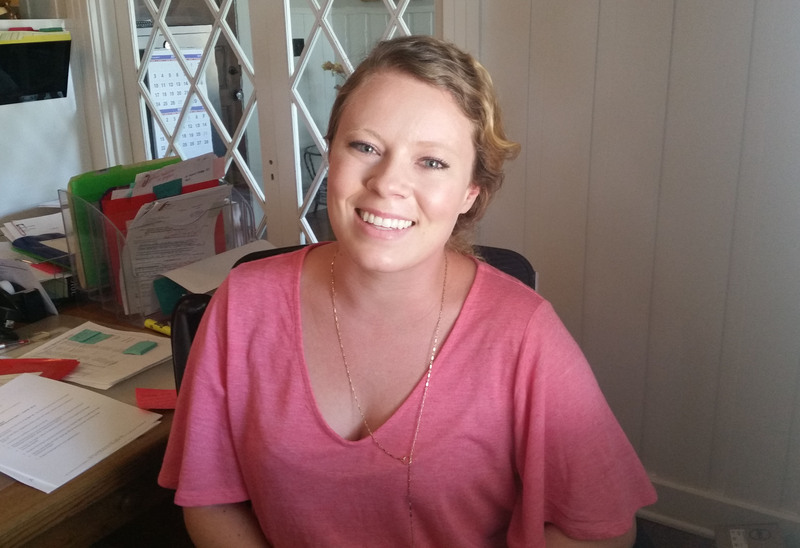 Welcome new Office Manager Megan Hursey! SEPPS Inc. is pleased to announce the newest addition to the SEPPS team! Our new office manager Megan Hursey! A graduate from UC Santa Barbara in Psychology and having grown up in Ventura County, Megan is already becoming a huge asset to the office. We are so blessed to have a growing and productive team! Make sure to say Hello and introduce yourself to Megan the next time you stop by! A couple planners from our office were able to attend the American Planning Association’s Planning Awards last Saturday, April 23rd at the Crown Plaza Hotel in Ventura, CA. 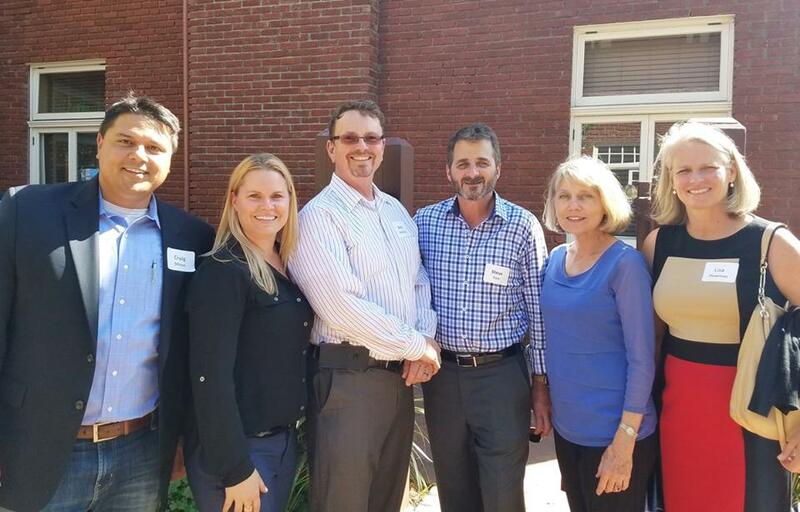 Awards were given to the City of Santa Paula, the Goleta Slough Management Plan, and to Cal Poly Community Regional Planning Students for their efforts in their Master program. 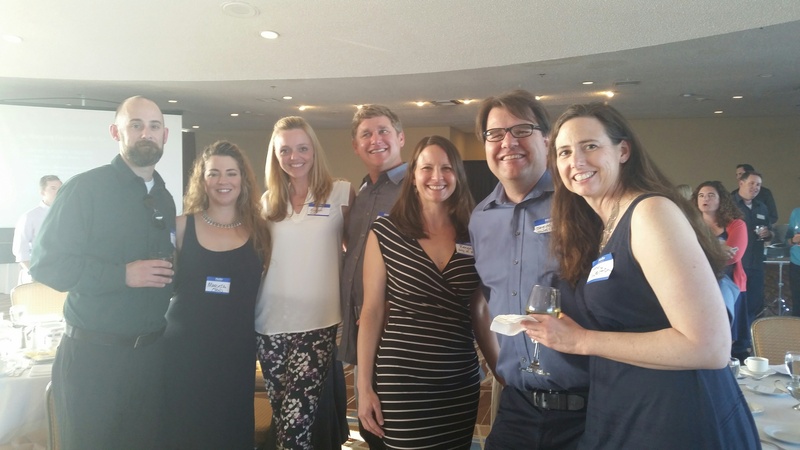 All in all it was a fun event that SEPPS sponsored along with other great companies in the Central Coast. Congrats to all award recipients! Our SEPPS team and family sail trip was cancelled due to rain. 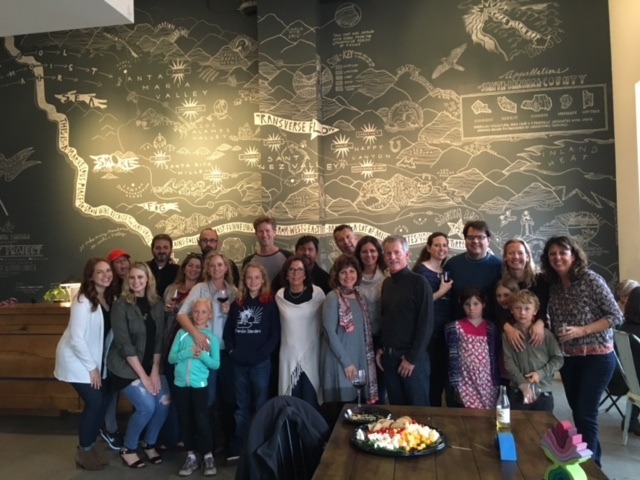 Our Plan B was the AVA Valley Project in the Funk Zone of Santa Barbara to enjoy excellent food and wine with our families and friends! We had an amazingly fun time with one another. As we launch our new website on the eve of our 22nd anniversary, I want to take the opportunity to reflect back on the past two decades that we have served as local land use planners in one of the most beautiful cities in the world. When I started my business as a sole proprietor in 1994, I truly had no idea what promise the future held. 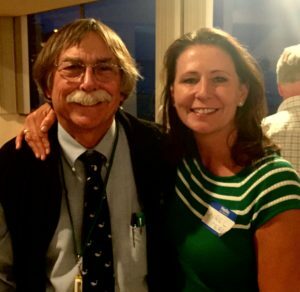 Within a few years, Suzanne Elledge Planning & Permitting Services (SEPPS) added staff, incorporated, and established a reputation for successfully representing local projects with integrity and a community-minded spirit which led to new opportunities and steady growth. From humble ‘moms and pops’ to high profile celebrities, over the years we have helped hundreds of families realize their dreams of renovating and expanding their home, or building a new one. 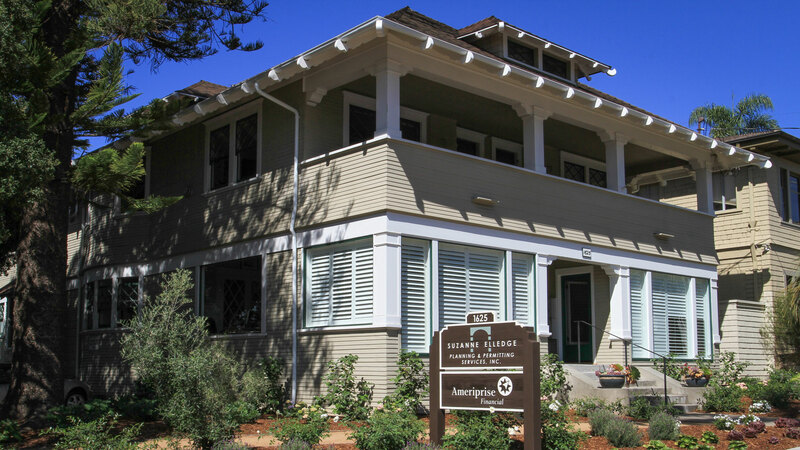 We have served small businesses, large commercial and corporate enterprises as well as a significant number of our community’s most prestigious institutions; local organizations that provide Santa Barbara with world class medical, social, cultural, and educational services. Check out our Clients and Projects pages to get an idea of just how fortunate we have been to represent this diverse and impressive group of clients. Every project is different which makes what we do quite interesting. We typically have about 100 active projects at any given time with wide ranging land uses. A peek at our current project list reveals that we are representing several estate and single family properties, a senior housing & care facility, a summer youth camp, three museums, several historic hotels, a large student housing project, a worldwide disaster relief organization, a utility-scale solar power energy plant, four private schools and a college, two hospitals, and scores of other projects. It is stimulating and satisfying to be involved with so many exciting and worthwhile projects. We love what we do, we take it seriously, and we strive to make a positive contribution to our community as we guide our clients through the local planning process and volunteer our time in local organizations. 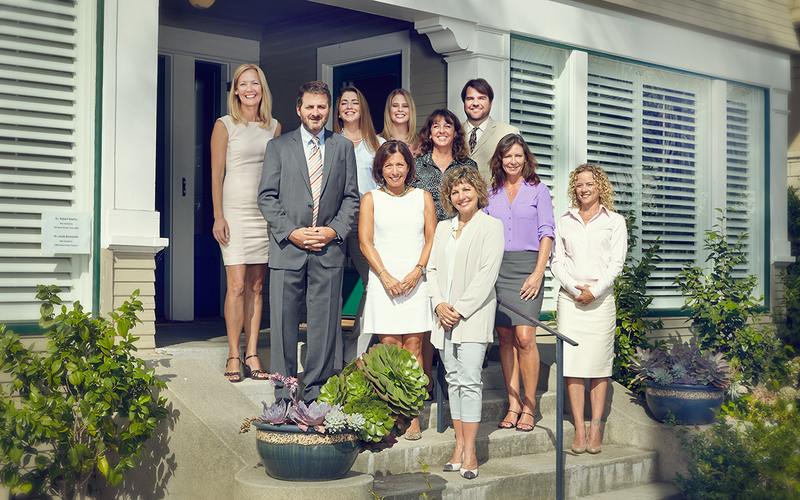 If you go to the Our Team page of our website, you will be introduced to the talented staff who make up the SEPPS family. We owe our success, growth, and longevity to the integrity and commitment of this group of professionals, fondly referred to around our office as SEPPSTERS! Success in our business requires analytical thought, creativity, discretion, and perseverance. I am deeply grateful for the talents of our planning staff who gain new experience with every project and meet regularly to share information or to “huddle” to discuss and resolve a particularly difficult or unusual situation. We also have an energetic and skillful support team who make it possible for us to do what we do in an organized and productive environment and without whom our business could not thrive as happily as it does. Several years ago we calculated that we had represented hundreds of projects and well over a thousand permits. As this number continues to climb, our knowledge and experience expands and is further developed adding value to the advice we offer and the services we provide. From the beginning we have seen our role in the planning process as that of a facilitator and this is symbolized by the bridge that is our company logo. Just as we endeavor to enlighten our clients to the purpose and meaning of the myriad of regulations and policies to which their projects are subject, so too are we responsible for clearly articulating to the public, review agencies, and decision makers the vision and objectives of our clients’ proposed projects and how they comply with applicable regulations and policies. Many projects are of a size and scope that public outreach is necessary and this too is an opportunity to facilitate understanding of a project proposal, to address questions, comments and concerns. Nothing has been more satisfying to me over the years than to engage stakeholders, make appropriate revisions to a project, and then for everyone to be satisfied with the process and the final proposal. I was not yet forty, and my three daughters were in junior high and high school when I started my business. Now as I write, the youngest is due with her first child, our fourth grandchild. As I think back over these last two decades I recognize that the spirit and energy that I brought to my new company was accompanied by healthy doses of idealism when it came to the public review process. While my respect for the process, and belief that projects are improved by it, continue to serve as a foundational principles guiding what we do at SEPPS, I have to acknowledge that the ability to maintain this conviction is not for the thin-skinned or faint of heart. I still have energy and optimism, but as I approach my sixtieth year, my eyes tend to observe life “unvarnished” and my voice favors outspoken candor (even if feathers get ruffled) over expediency. Look for a future post when I will share my thoughts about the vulnerability I find in our local process sometimes falling prey to that which happens on the national stage where polarizing positions and rancorous voices play out and highjack what could otherwise be a respectful and productive dialogue. For this current post, I want to simply express my gratitude that locally, for the most part, thoughtful design, honesty, and perseverance ultimately prevail in the wild world of development review. Finally, heartfelt thanks to the hundreds of clients who entrusted us with their projects, had confidence in our capability, and were instrumental in the gradual success of what was once a fledging planning company. Happy Anniversary SEPPS! SEPPS has a long and successful history of representing local non-profits that provide art, educational, health and social services to our region. We are honored to have represented these projects that enrich our community and its quality of life. 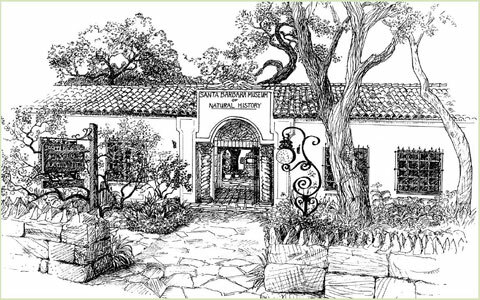 Over the years we have been privileged to obtain project approval for Santa Barbara and Goleta Valley Cottage Hospitals, Westmont College, Music Academy of the West, Marymount School, Storyteller Children’s Center, Visiting Nurse & Hospice Care, Santa Barbara Children’s Museum, Fairview Gardens, Pacifica Graduate Institute, Laguna Blanca School, Antioch University, and the Santa Barbara Museum of Natural History. SEPPS Principal Planner, Laurel Perez, has been working as part of the volunteer group called the “Mesa Architects” whose goal is to strengthen the community, self-sufficiency and sustainability of the Mesa neighborhood in Santa Barbara. 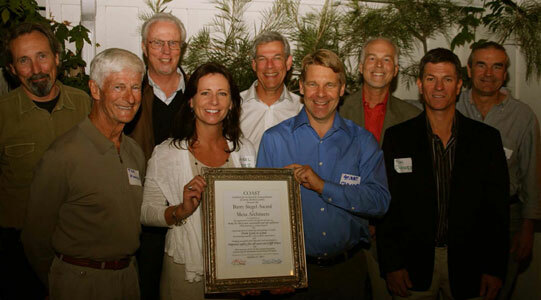 The Mesa Architects proudly received the 2011 Barry Siegel Award presented by COAST (the Coalition for Sustainable Transportation) for their extraordinary success in organizing the neighborhood toward a progressive plan (“from good to great”) and the recently concluded restriping of Cliff Drive between Meigs Road and Santa Barbara City College. It was noted as the outstanding achievement in transportation in 2011. Check mesavillage.org for more information.